Deanna Dent/ReutersMaria Theresa Maximiliano, of Peoria watches U.S. President Barack Obama’s national address in Phoenix, Arizona November 20, 2014. Norma Martinez, an undocumented mother of two girls born in New Jersey after she arrived illegally from El Salvador in 2007, worries the Obama administration’s new immigration program might provide fleeting protections that a new president could easily reverse. “I don’t want to go on living in hiding,” said Martinez, 34, adding that she would happily sign up and pay a fine to avoid deportation. “But what happens if they take the program away, it would mean automatic deportation,” she added, saying she and her husband, also undocumented, might be better off staying out of sight until a permanent solution is reached. As details of the speech filtered through immigrant communities across the United States, many undocumented Hispanics remained sceptical, saying the new temporary benefits offered by the White House might not be worth the risk of coming out of the shadows. While Obama’s so-called “deferred action” for parents of children who are U.S. citizens or permanent legal residents could offer temporary status to as many as 5 million immigrants, the many shortcomings detract from its benefits, experts say. “It’s a step in the right direction, but it’s going to fall far short of the mark,” said Cheryl Little, a veteran immigration advocate and director of Miami-based Americans for Immigrant Justice. “Deferred action is not legal status, it’s simply a temporary reprieve from deportation,” she added. “Who knows who the next president will be and if they might take this protection away,” he said. Only 55 per cent of the estimated 1.2 million young people eligible under a 2012 program that offered temporary relief for the children of unauthorised immigrants have applied, according to an August report by the Migration Policy Institute. Jim Bourg/ReutersU.S. President Barack Obama announces executive actions on U.S. immigration policy during a nationally televised address from the White House in Washington, November 20, 2014. Obama’s executive action is the most significant move to protect unauthorised immigrants since 1986, when Congress passed legislation allowing almost 3 million people in the country illegally to obtain residency, and ultimately U.S. citizenship. Even under that program only 36 per cent of those eligible became U.S. citizens, said Lopez. “Many of them are too busy working, and it’s expensive. They worry about not being able to pass the exam because they don’t speak English,” Lopez added. 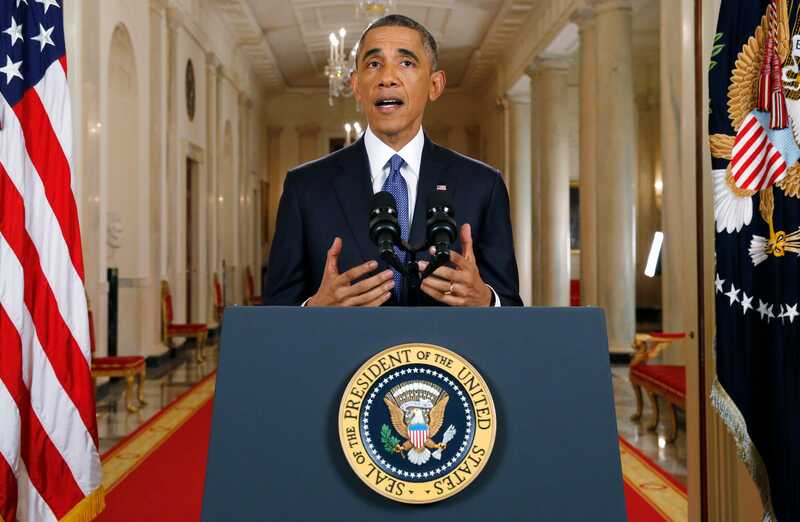 A survey by the Pew Hispanic Center in late October found that only 26 per cent of Latino adults were aware of the debate over Obama’s use of executive action. Among those who had heard about it 38 per cent were either disappointed or angry, while only 25 per cent were pleased or very happy. “They are not going to trust anything the president says,” Gaspar explained. “He hasn’t kept his promises,” she added, noting how record number of immigrants have been deported under the Obama administration. 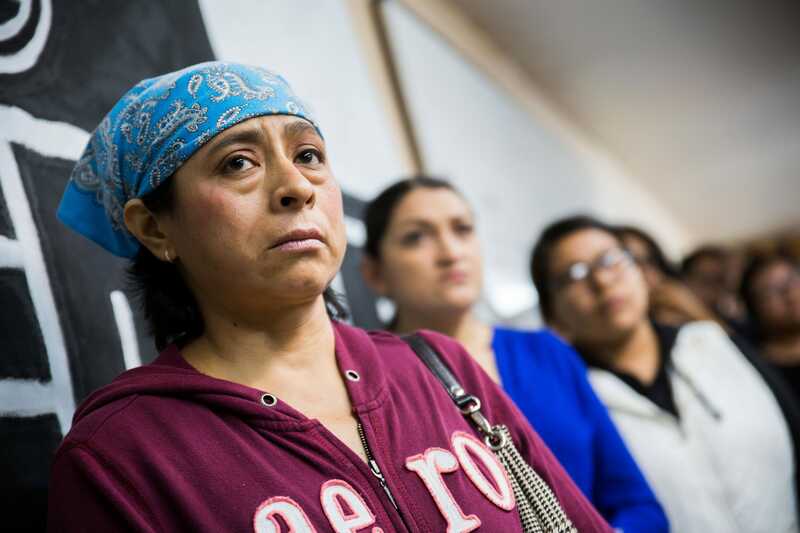 “He was let go after being granted a bond, but some of the men were deported,” she said. Mary Alfaro, a 37-year-old undocumented Mexican mother of two U.S.-born children who has been living in south Florida since 1995, called Obama’s decision a partial solution.